The Resident Tourist: Eating in the Hamptons . . .
Montauk, specifically, since that's where we'll be this weekend. The team from Manhattan's The Smile has taken over the restaurant at Ruschmeyer's hotel this summer, serving up local produce and fresh seafood paired with ecofriendly wines. New taco joint from the people that brought you Tacombi in the city. Hand-made tortillas and fish tacos, even banana pancakes in the morning for breakfast. Our favorite lemonade spot has scootched over for our favorite lobster truck - the two will be sharing a space for the perfect combo. Now after your lobster roll you can cool off with a Raspberry Hibiscus ice pop. On everybody's hit-list, cool and trendy, super surfer-style. Best for local seafood and killer cocktails, don't miss the Ginger-Mint Lemonade. Hipster and rustic-chic with great views of the water. Tasty organic fare, be sure to order the seafood tower. There's also a fire pit outside, for after-dinner drinks. 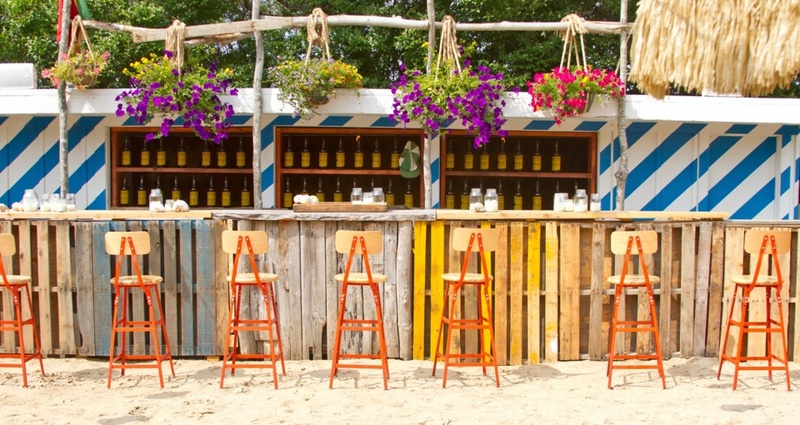 Super casual, right on the sand, it's the ultimate beach eat. Go for lunch (excellent ceviche menu) or at sunset for small bites and drinks.